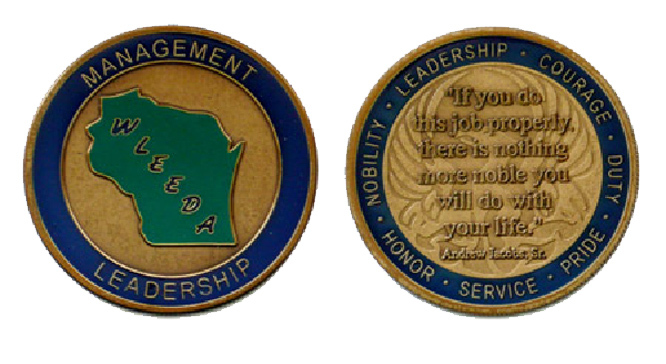 Popular police management presenter, Bill Westfall, introduced our first WLEEDA challenge coin to our conference attendees a few years ago. Since that time, WLEEDA had a new logo custom designed. 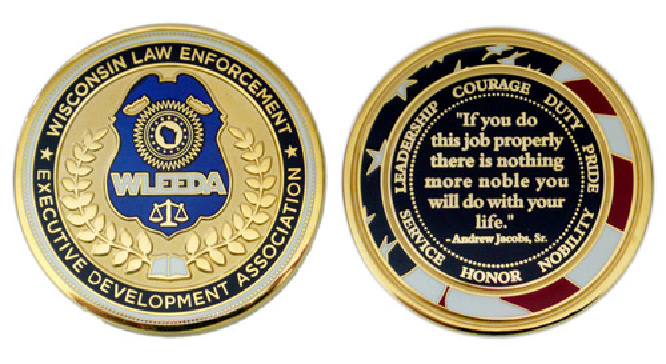 To purchase, simply email any board member with a brief note detailing which coins you want. Original Coin: 1.5 inch diameter, $5 each (includes shipping). WLEEDA logo shirts and other accessories can be ordered here. The Executive Board shirt is color True Blue .